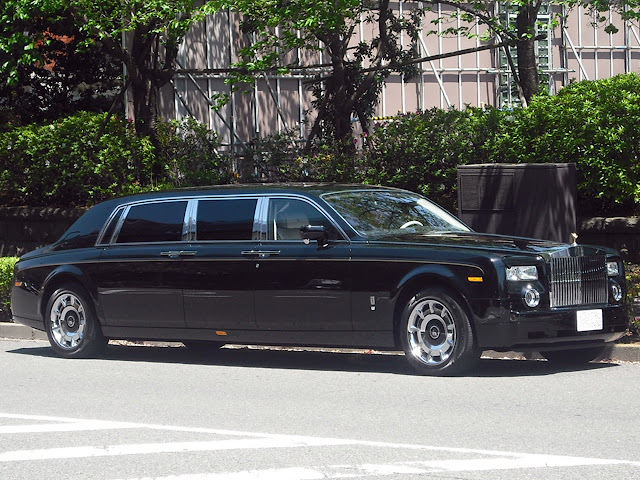 Spotted on the street, in Japan by Andy the very rare Rolls-Royce Phantom extra extended wheelbase option from the official coachbuilder Mutec. 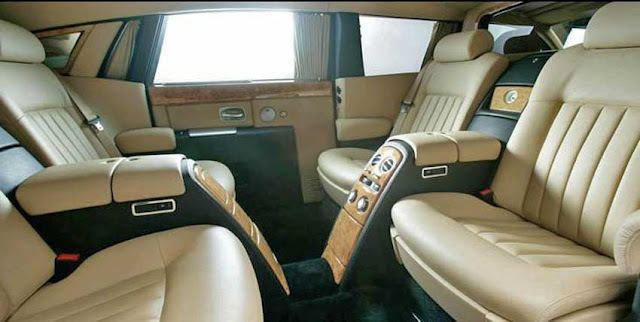 There is a 1100mm lengthening to the Rolls Royce Phantom EWB. Certainly not a car you would expect to spot every day. And for those who want to see... here is how Mutec cars look from the inside. More on the Mutec Phantom here. Part of me has never liked our American version of the limousine. That said, this conversion's done so well and makes this large car look so well-balanced, I can't knock it. The coachline enhances the aesthetic balance, too. Those rims alone, if I am not mistaken, are 20K a set.